One of the most beautiful times of year in Toronto is fall because of the fantastic colours the trees and plants turn transforming the landscape with a look only available for a couple weeks in October. Because there are so many buildings in Toronto that doesn't leave a whole lot of trees and leaves to see this change, which is why Graydon Hall Manor is the best place for a fall wedding in Toronto. The property boasts large expansive spaces and many trees and plants which shed their leaves and colour the grounds with a different look. 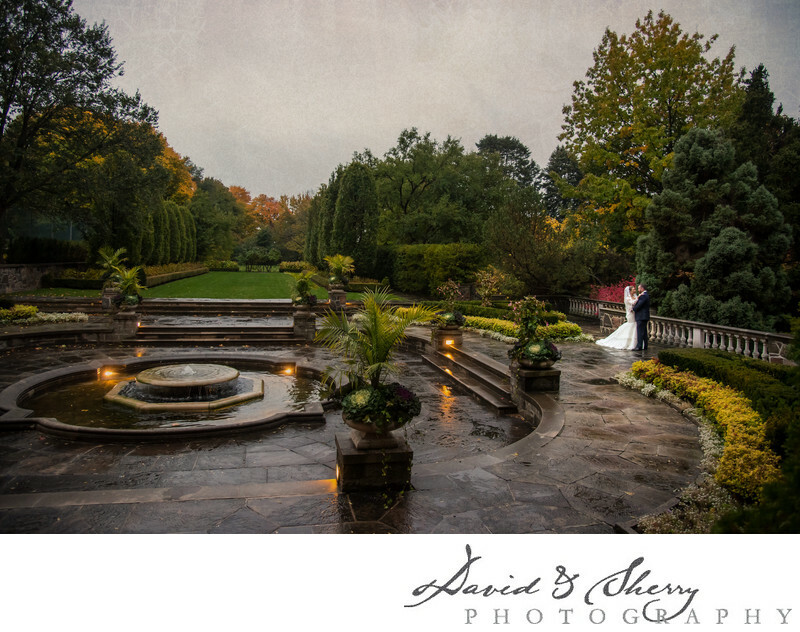 The only potential downside to fall weddings would be the unpredictable weather and whether or not the rain will fall and this is one of the many things that makes Graydon Hall fantastic as it offers both indoor and outdoor options for the ceremony. Many of the fall brides choose the carriage house as their indoor ceremony spot as it has large windows illuminating the room, two levels of seating for your guests and best of all, guaranteed no rain. Regardless of the weather we aim to take our couples outside for a short or long time for pictures. We can use the covered area out front or if the situation permits we will use the expansive grounds to create gorgeous and creative wedding portraits.